I had never imagined that I would bake one day. Thanks to the food group I joined where I was tempted to start baking. Thanks to all my friends who encouraged and motivated me to try baking. I started baking only in the beginning of 2015. Initially I tried many recipes. My confidence in baking grew stronger each time I baked. That is when I started to experiment. Once such successful experiment is experiment. Once such successful experiment is Multigrain Aachari Buns. A twist to your regular buns. I am sure you will love it as much as my family loved it. regular buns. I am sure you will love it as much as my family loved it . Warm up 1/2 cup of milk . The milk should feel warm on the underside of your wrist. It should neither be hot nor cold. Stir in the yeast and let it proof for 10-15 minutes or till it is all frothy. If it does not froth, throw it away and start again or try different yeast. Add salt, milk powder, Aachar masala and multigrain flour to the Maida and mix well. Add the yeast mix to the flour, mix well and start kneading. Add olive oil very gradually as you knead. The dough will be very sticky but don’t worry. Knead well till it becomes a soft dough. This will take about 15-20 minutes. Transfer the dough to a greased bowl and cover with cling film, or a clean kitchen towel and rest for 1 ½ to 2 hours. The dough should double up. This is the first proof. Divide the dough into equal portions, shape them into round balls and arrange in a greased baking dish. It should be placed a little apart. Cover with cling film or a clean kitchen towel taking care to that they do not touch the top of the bread. Leave to rise again for about 45 minutes. This is the second proof. Preheat the oven at 190C for 10 minutes. Brush the buns with milk and bake at 190C for 30 to 35 Mins. 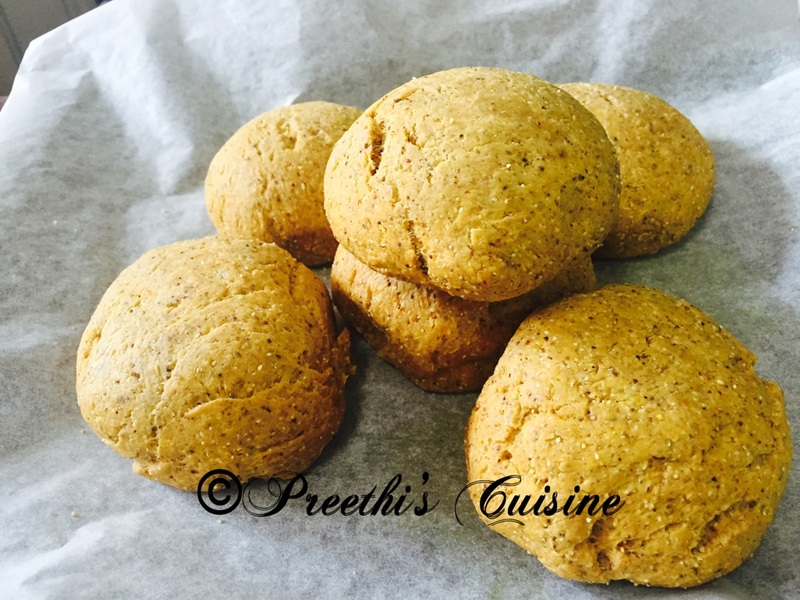 Yummy Aachari buns are ready!! 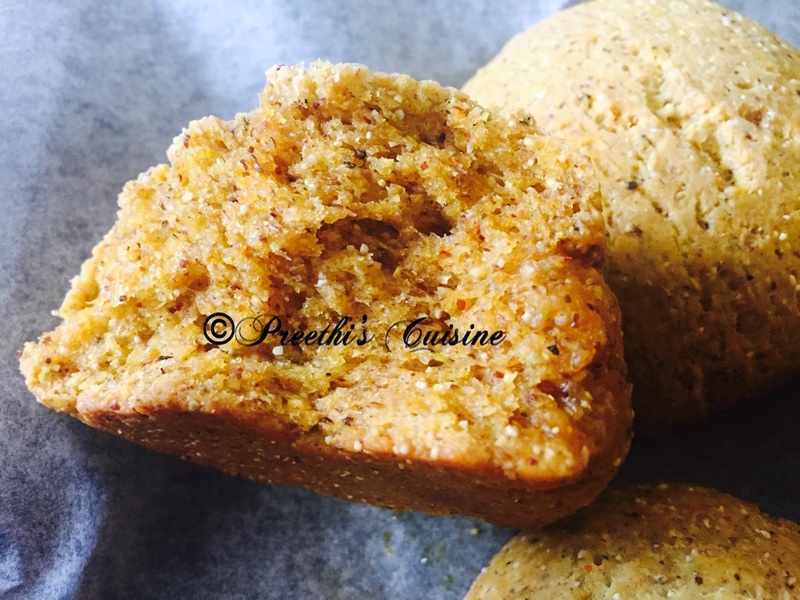 I simply love the idea of adding achari masala to the bread dough.